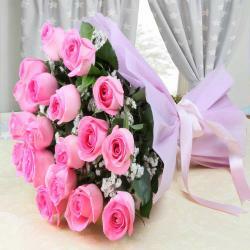 Product Consists: Arrangement of 10 Pink Roses in a Glass Vase. 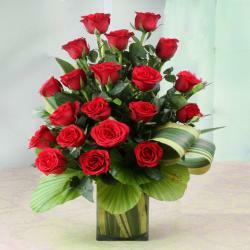 If you are searching for an amazing gifts so here you can browse for more gifts on Giftacrossindia.com. Have a look at this very amazing gift hamper its look so sophistication and a premium touch to the gift pack. 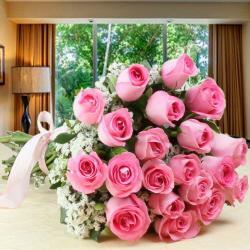 The beautifully pink roses arranged in vase looks really elegant and complements the heart touching flowers quite wonderfully indeed. 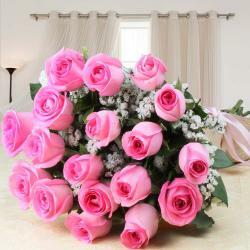 So go ahead, place your order now. 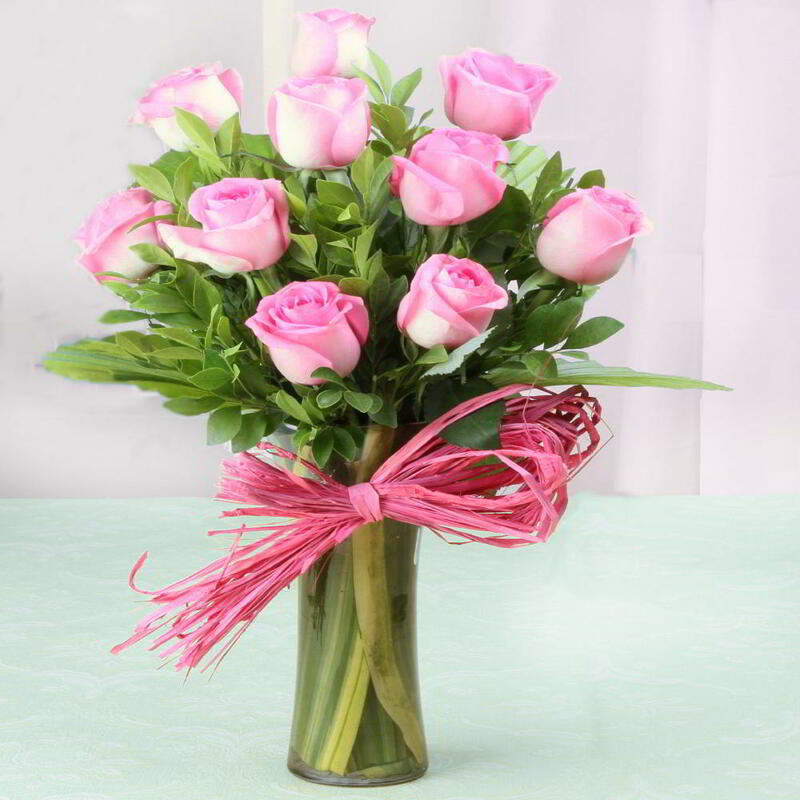 Product Consists: Arrangement of 10 Pink Roses in a Glass Vase.